9. 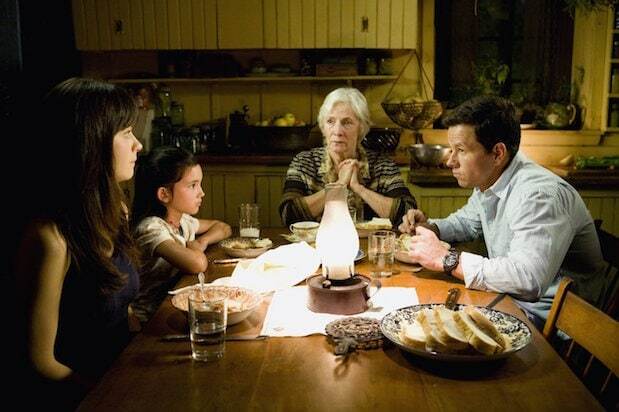 The Happening (2008) Shyamalan starts off strong, building a movie in which supernatural-seeming events are driving people to commit suicide. Then the twist: Trees did it, using a toxin carried by wind. This is one step removed from the Lorax being revealed as a serial killer. 8. Signs (2002) Everything in Mel Gibson's character's life, including the tragic and really horrific death of his wife, has been part of God's extremely intricate and unnecessarily mean plan. 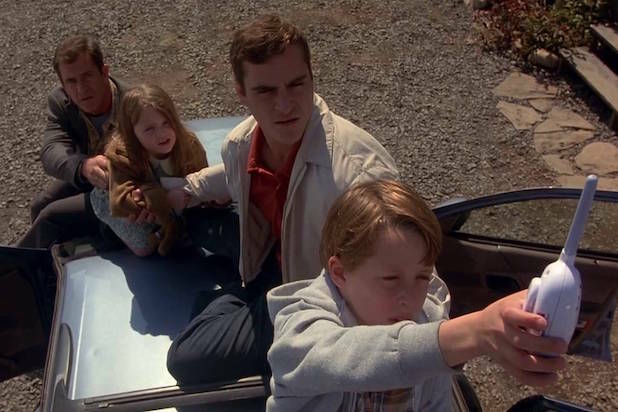 That plan: restore Mel's faith and save his family by placing glasses of water around the house so Joaquin Phoenix could hit them with a bat. Because the aliens are allergic to water. 7. Lady in the Water (2006) Paul Giamatti discovers a strange fairy-tale-like nymph-woman (a "narf," actually) in his apartment building's pool. He concludes everyone in the building has a role in the fairy tale. Then the twist: All the roles are wrong! Everyone unlocks their potential by realizing the stupid roles they're actually destined to play, and saves the day. 6. The Village (2004) A group of 19th-century townsfolk bury anything that's red and hide from mysterious monsters that plague their town. Except the village elders have been pretending to be the monsters to keep everyone in the town, since they all actually live in a modern theme park. Oh, and the monster that's been terrorizing everyone is just a lovestruck developmentally disabled guy. 5. Devil (2010) Five people get trapped in an elevator and reveal how awful they are as they are attacked, one by one, when the lights go out. The twist: One of them is literally the Devil, in the biblical sense. And it's the middle-aged woman everyone thought was dead. Shyamalan didn't direct this one, but he wrote the story. 4. Split (2017) A man (James McAvoy) suffers from a split personality: Some of the personalities are evil, and some can actually manifest physical differences, like strength. 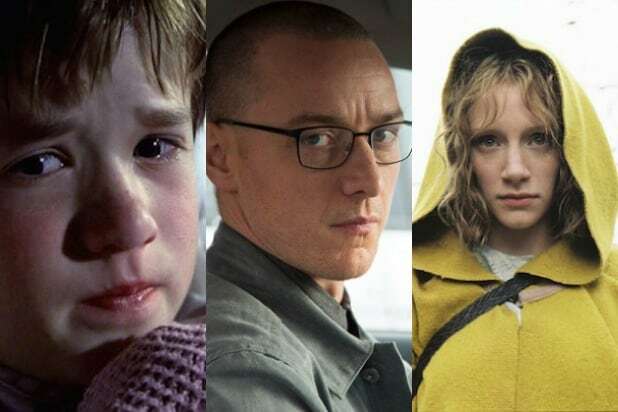 Then, the twist: The movie is set in the same universe as a previous Shyamalan film, "Unbreakable," making it a supervillain origin story and setting up a clash with Bruce Willis' character from that movie (at some later time in another film)! 3. The Visit (2015) Two kids go on an extended visit with their grandparents, but there's definitely something not right about the grandmother, who seems like a different, much more dangerous person at night. Turns out these aren't the grandparents at all, but two murderous escaped mental patients. While predictable, the twist plays well because "The Visit" is more tongue-in-cheek than the typical Shyamalan joint. 2. The Sixth Sense (1999) The Shyamalan classic follows a psychiatrist (Bruce Willis) who treats a boy (Haley Joel Osment) who says he can see dead people who need his help to let go of their lives. But the psychiatrist is dead! Shyamalan gives just enough hints to make audiences scream "Of course!" once they realize Bruce Willis has been a ghost the whole time. 1. Unbreakable (2000) Bruce Willis' character survives a train crash because he's actually an "unbreakable" mutant. In the end, a man with very brittle bones (Samuel L. Jackson) caused the derailment and lots of other deadly accidents in an attempt to find Willis and give his own life meaning -- as a supervillain convinced his comic-like opposite had to exist. The twist perfectly redefines the story at the last second, forcing you to rethink everything you just watched.